Ocala, Florida — Heroin (smack) use has increased across the United States among men and women, most age groups, and all income levels. According to the latest Vital Signs report from the Centers for Disease Control and Prevention (CDC) and the Food and Drug Administration (FDA), the greatest increases have occurred in groups with historically lower rates of heroin use, including women and people with private insurance and higher incomes. In addition, nearly all people who use heroin also use multiple other substances. The report also states that the strongest risk factor for a heroin addict is a prescription opioid addiction. As heroin use increases, more people are dying from heroin overdoses. Heroin-involved overdose deaths nearly doubled between 2011 and 2013, and more than 8,200 people died in 2013 alone. Data is not yet available for 2014. For this Vital Signs report, the FDA and CDC analyzed data from the 2002-2013 National Survey on Drug Use and Health, sponsored by the Substance Abuse and Mental Health Services Administration and the National Vital Statistics System. Heroin trends among demographic and substance-using groups were compared for 2002- 2004, 2005-2007, 2008-2010, and 2011-2013. The study showed that 96 percent of people who reported heroin use also reported using at least one other drug in the past year, with more than half (61 percent) using at least three other drugs. The people most at-risk of heroin abuse or dependence include non-Hispanic whites, men, 18-to-25 year-olds, people with an annual household income less than $20,000, Medicaid recipients, and the uninsured. According to the study, significant increases in heroin use were found in groups with historically low rates of heroin use, including women and people with private insurance and higher incomes. The gaps between men and women, low and higher incomes, and people with Medicaid and private insurance have narrowed in the past decade. prescription opioid painkillers are 40 times more likely to abuse or be dependent on heroin. cocaine are 15 times more likely to abuse or be dependent on heroin. marijuana are 3 times more likely to abuse or be dependent on heroin. alcohol are 2 times more likely to abuse or be dependent on heroin. In the United States, New Jersey and New York have the highest rate of heroin abuse and overdoses. In fact, both New York and New Jersey have a needle exchange program. Experts say that while the program might decrease the chances of a person contracting AIDS, it absolutely increases the number of heroin addicts and overdoses in the states. Russia has the highest number of heroin addicts and deaths outside the U.S. But unfortunately, according to the DEA, heroin abuse in Florida has made an unwelcome comeback. Marion County Sheriff’s Office Public Information Officer Lauren Lettelier said that the United Drug Enforcement Strike Team (UDEST) has opened 36 heroin cases from January 1, 2015 through June 30, 2015, which is an average of six cases per month. UDEST has seized 788.7 grams, or 28 ounces, of heroin with a total street value of approximately $117,600, or $4,200 an ounce. 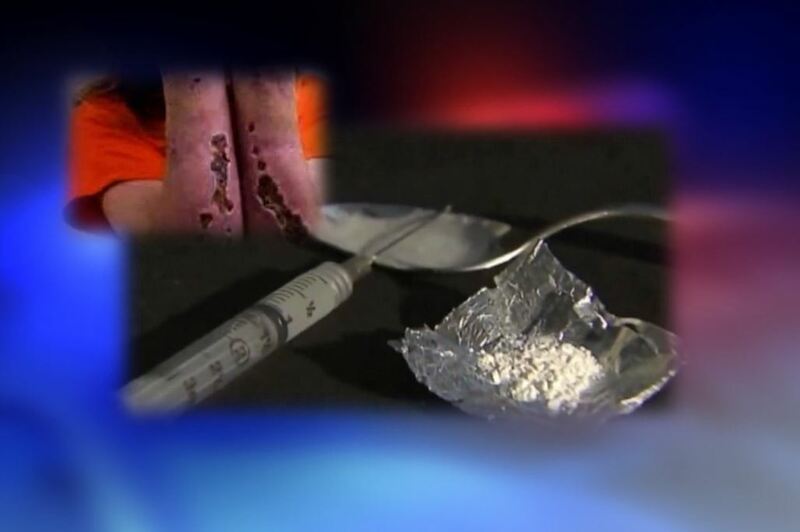 In addition to the UDEST cases, the Ocala Police Department has also seen an increase in heroin cases. OPD Public Information Officer Sergeant Angy Scroble said that OPD has had 22 heroin cases since January 1. Thirteen of those cases resulted in arrest. Police have seized 318.5 grams in various forms, including liquid, powder, and solid. Several local doctors, who do not wish to be identified, said they have seen an increase in heroin use since the DEA put a “squeeze” on painkillers. Doctors say that since the DEA has made it harder for patients to obtain prescription pain medications, many have turned to heroin. This is because heroin is much cheaper than purchasing prescription pain killers on the black market. DEA agents said that dealers have found new cheaper and extremely dangerous ways to make heroin, which in turn increases the dealers’ profits. Agents said dealers sometimes “cut” heroin with dangerous chemicals such as gas, paint thinner, and sometimes powdered septic additives or liquid drain openers. In 2013, Ocala Post investigated a cheaper form of heroin that DEA agents say makes users look like they belong in a zombie apocalypse movie. The cheaper form of the heroin actually rots flesh right off the bone, and oftentimes the symptoms are mistaken for cases of untreated diabetes. This form of heroin is more addicting and more destructive than methamphetamine. It is definitely something the public should be made aware of, agents said. You can read more about that here. (Flesh eating form of heroin) WARNING: Visual content within the article may be disturbing to some.